WCSL produces both 5/4" and 6/4" thickness decking with eased edges for totally maintenance-free beauty. 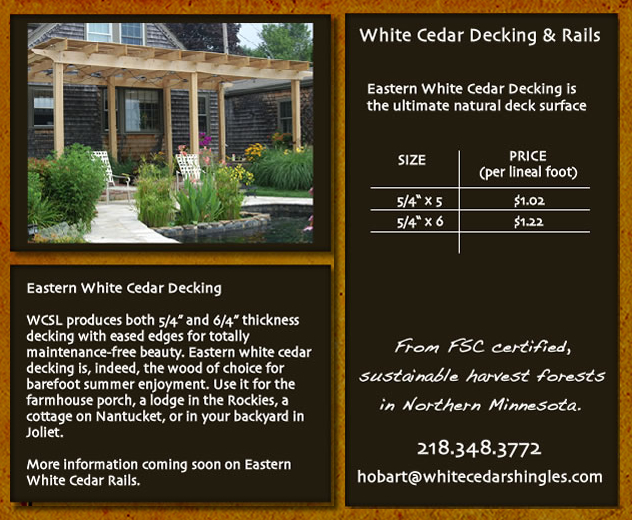 Eastern white cedar decking is, indeed, the wood of choice for barefoot summer enjoyment. Use it for the farmhouse porch, a lodge in the Rockies, a cottage on Nantucket, or in your backyard in Joliet.